Shterna started to say her name this week. We play peek-a-boo, and she puts her little hands over her cute face, barely even covering her eyes, and then lifts them to either side of her face, her way of asking a question, and says "Where Nena?" Each time, I say to Yehuda, that for a child who was probably going to have a speech delay, we really should have given her an easier name. Like maybe Ita. She can say Ita so easily, it's a pity we didn't name her Ita. If I want to know whether a person's name is important, I don't have to look further than the name of this week's Parsha, which is called, none other than, Names. In fact, the whole second book of the Torah is called Shemos-Names. So obviously, names are very important. But why is it so important to mention the names of all the sons of Jacob here, right before the Torah is going to tell us the story of the birth of the Jewish nation? Wouldn't it have been enough for us to just know Jacob's descendants grew into a large family, and then into a nation? 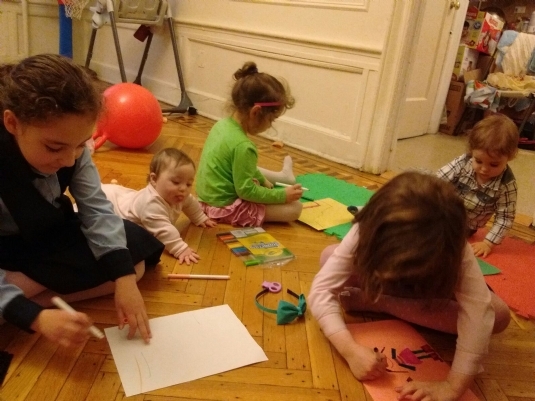 When Chaya Mushka was born, my sister, who is also named Chaya Mushka, said that so many Chabad girls are called Chaya Mushka, that it isn't really a name, it just means "baby girl." She said we should really give our new daughter a more original name, and suggested Bob. She even called our baby Bob for a little bit, but it didn't stick. Mainly because I got upset each time she said it, but also because a person's name really is important. Our names are intrinsically connected to our identities. They are bound up in our souls, and guide us in our life's mission. A name is so powerful, that when a person is, G-d forbid, deathly ill, we add a name, that means life, or healing, and /i have personally witnessed miraculous recoveries of people who were told by doctors that they wouldn't survive, and are healthy today. By naming each of the individuals in the new Jewish nation, the Torah is showing us that while we are part of a nation, we are just that, individual, with our own strengths and talents, and we are important. We believe that choosing a name for a baby is actually a prophecy, that Hashem gifts to the new parents. In fact, Shterna was named in shul on Shabbos, and I was still in the hospital with her. When I spoke to Yehuda after Shabbos, and he told me that he had named our baby Shterna, I was a little bit surprised, because before Shabbos had started, we had discussed a different name for our baby. But he said that when he was called up to the Torah to name her, he realised that her name was actually Shterna! And why we didn't name her Ita, well, that's because Ita's name belongs to Ita, completely. I can't even fathom her being called my any other name. And the same goes for all of my children. Each one of them has a name that fits them so perfectly, and gives them the strengths and capabilities that they need for their unique missions in life. I usually say the morning blessings in a half dark kitchen, while I'm waiting for the kettle to boil for my coffee. If its a very rushed morning, I might squeeze them in quickly at a red light. Either way, I'm somewhat distracted, and I don't really think about the meaning of what I'm saying. But something recently happened, that gave me reason to pause each morning. "Blessed are you Hashem....who releases prisoners." I do live right near the county jail, and on occasion my husband will visit a Jewish prisoner who lands up there, but I really hope to never experience the inside of a cell myself. For this reason I am careful to always renew my license, pay any fines and generally stay safe of the law. I have always wondered how this blessing could be relevant to me. A few days ago, a family friend, who I did not know at all before I began praying for his release, was let out of prison by President Trump. As my phone filled with messages celebrating his release, I thought about the fact that for the past eight years, he was stuck inside the prison grounds. Although he might not have seemed to be suffering, he wasn't able to go where he wanted, or even to do what he wanted to do, at any particular time. He was constantly at the mercy of the prison guards, and their rules. Since the Rebbe taught us that everything that happens is a lesson for us, I've been pondering this idea, and wondering how it is applicable to my own life. I've been thinking about what it is that holds me prisoner, and doesn't let me do what I want or need to do. Actually I realised that this blessing holds new meaning in a personal way for me too. In the last few years, I have been forced to get over my shyness, to the extent that when I recently told someone I am a shy person, she was very surprised. Having a child who has special needs has been a liberating experience for me, because I had no choice, I had to become an advocate for my child. I had to speak to doctors and nurses, and service providers, and government officials, and principals, and teachers, and therapists, and go completely out of my comfort zone, in order to get Shterna the care that she needed, and still needs. When we left New York a few months ago, and I called Shterna's service coordinator to say goodbye, and thank her for her help, she told me that she appreciated the way that I "politely nag her." That was such a moment of self-realisation for me! I try to avoid confrontation at all costs, and had even previosly felt guilty for not getting my children certain things that they needed, because it was too hard for me to push and nudge the people in power. So this past week, I have tried to pause each morning, and be more mindful in my prayers, so that when I bless Hashem, Who releases His people from our prisons, both physical, and figurative, I can also have in mind to be freed from other things that are holding me back. Last week, someone asked me who I am. Being that we were communicating through facebook, she could see me name, and a picture of my face, so I was a little confused. I asked her what she meant, and she said "What is your maiden name? Who do you work for?" These are both questions I could answer easily, but it got me thinking. Who am I? I know that I am my parents' daughter. I am a mother. I am a wife. I am a teacher. I am a cook (some nights I feel like a short order cook.) I am a friend. I have been running the extractor fan all week, but I haven't boiled cinnamon, cloves or lemon peels, like pinterest says I should to really get rid of the smell. You see, I like the smell of the oil. No, I don't like the rancid smell, that reminds me of fried fish. It's what the oil symbolises. When I smell the oil, I think of the menorah burning. Our silver menorah, that Yehuda inherited from his great grandfather, after whom he is named, and all the nights we have spent singing and playing dredel next to it. This year will be our tenth Chanukah together. But mostly, I like it because it makes me think of the little jug of oil that the Jews found in the Beit Hamikdash. I think of them, exhausted and wiped out after a fighting a battle they never thought they'd win, looking for something that seemed impossible to find. And I see myself, exhausted after a full day of teaching two year olds, going grocery shopping with five tired, kvetchy children, and coming home to realise that I still need to feed those children supper, and put them to bed. And like those brave Maccabees, I find a small reservoir of strength deep inside. But when those same children keep popping out of bed, for another hug, story or drink, it looks like that oil is not enough. It's going to burn out at about eight o'clock, that's the magic hour when I always tell my children that nice patient mommy goes to sleep, and the mean frazzled lady comes out. She might shout at them if they come out of their room again. Somehow, I experience the miracle of Chanukah over and over again, all the time. That oil keeps flickering, and the house is finally peaceful. It even manages to get tidied (okay, that might be due more to Yehuda's cleaning lol) and Shabbos food gets cooked, school lunches packed, and sometimes laundry even gets put away. When my sister asked me earlier tonight why I'm making stuffed cabbage, my first reaction was, "are you even my sister? Don't you know that just because a food takes long to make is not a good enough reason not to make it? It's Simchat Torah, and we have to eat stuffed cabbage!" But then I decided it's actually a good question, and when I thought about it a bit more, I realised that it's the answer to a big worry that I had when Shterna was first born. You see, just like Simchat Torah means stuffed cabbage, and erev Yom Kippur means Kreplach, Down syndrome means intellectual disability. It just goes together. And so after I finished worrying about the health aspects, and davening for Shterna to recover from her surgery, I began to stress about this intellectual disability. The Torah is a big part of our lives, we live with it every moment of every day. It teaches us how to get up in the morning, how to get dressed, and everything else. Everything is contained in the Torah, and we learn everything from the Torah. How could a child with an intellectual disability learn Torah? How would my daughter have a part in this all encompassing aspect of our lives? And here's where we get back to the food, because somehow everything seems to be connected to food. On the day when we celebrate the Torah, we eat meat rolled up in cabbage, to symbolise that the Torah is all rolled up in it's cover. We dance with the Torah, but it's closed, we don't open it up and learn from it, we just hold it. Because everyone can hold the Torah, the Torah belongs to everyone. Whether or not they can understand everything that's written inside, the Torah belongs to every single Jew, and it's ours to celebrate. And so I made stuffed cabbage tonight to remind myself, and you too, that Shterna, together with everyone else, no matter their ability or understanding, has a part in the torah, and deserves to join in the celebration. Please join us on Thursday evening, for a Simchat Torah barbecue and celebration. We took a very long road trip this week. It was a great adventure, and we got to spend time with some very special people, who we don't see often enough at all. We also slept in a different city almost every night this week. So when we finally arrived home last night, and I crawled into my own bed, I was reminded all over again how happy I am that we have our own home. And although we've been living here for about six months already, it still feels like we are just getting settled in. But I also know that every word in the Torah is meant to be taken figuratively as well as literally, and though I know I have taken the precaution to ensure that noone falls off my roof or into my swimming pool, I still want to make sure that my home is a safe space for everyone. I think this part is a lot harder. I am still building my checklist. I have a guest room, where I hope guests feel comfortable, and safe to relax. I try hard to keep my house tidy so that everyone in the house feels safe and can get what they need. I also try my best to keep the atmosphere safe. I hope that my children feel safe to try, and to make mistakes sometimes. I do my best to make sure that the environment is safe for them to express their emotions, to learn and grow. I hope also that I am welcoming to the adults who are in my home, my husband and guests. That I provide them with a safe and pleasant atmosphere where they too can be comfortable. The physical fences are made of wood and metal, but for the emotional fences I look to the Torah for guidance. The Torah teaches me to be careful with my words, not to speak badly about others, and not to raise my voice in anger. This week I prepared my house for Shabbos, I cooked and cleaned so that the house will be safe and comfortable, and I also complimented my children, and spoke nicely to my husband. As I am about to bring in Shabbos in my own house, I can't help but think about those in Houston, who are not in their own homes this week. 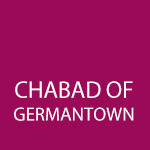 Please use this link https://chabadhoustoncom.clhosting.org/special/campaigns/hurricane_2016/donate_cdo/lang/en to help them. Wishing you a safe Shabbos, whether in your own home or someones else's. The Nine Days, which we are in the middle of right now, are days in which we mourn, the loss of the Beis Hamikdash, the Holy Temple. With the destruction of the Beit Hamikdash, the Jews were exiled, at the mercy of other nations. Since then we have wandered, have not had a true home; even our country is not really ours in the way that we wish it would be. This year, I feel like I can relate to this idea in a much deeper way, since we are also not currently living in our house. I know that I need to learn from everything that happens to us, and I have been reaching deep within myself to see how I can take this experience and make it meaningful. I like to indulge myself by looking at real estate websites, and imagine myself living in different homes that are for sale in Germantown and Clarksburg. In my mind, i choose which kitchen counters will be for meat, and which for dairy, how I will set up the dining room in order to accommodate the biggest amount of guests, and how happy my children will be with the playroom and backyard. But more than that, I let myself think about being able to take off my shoes, and walk barefoot, having an en-suite bathroom where I don't have to worry about children getting into my makeup, painting the walls in my favorite colours-really about being myself, really relaxing and letting go. When we were married for just a few months, a friend came over to visit, and she said, "Your home has such a great feeling, it's so calm and relaxed." That was the greatest compliment! At that time, we didn't have much beautiful furniture, but I had worked hard to create a homey atmosphere, and I was so happy to hear that she thought so. I feel like I can tell so much about a person from seeing, and spending time in their home, it can really be a reflection of who they are inside. The Beis Hamikdash is Hashem's true home, and when we keep all the mitzvos, that is what allows Him to be comfortable, and His essence can be revealed. In the absence of the Beis Hamikdash, the Rebbe teaches us, that we need to make our homes into a Mikdash Me'at, a "Mini Mikdash." We do this by hanging mezuzas on the doors, eating kosher food in the kitchen, filling the bookshelves with Jewish books, and teaching and encouraging ourselves and our children to do mitzvos. Just as I know that by creating warm memories and happy times for my children, they will feel at home, even though the physical walls of our house may keep changing, I know that we can make our home one where Hashem too can feel comfortable. And the same way that I know that sometime soon we will move into our own house, we will also soon merit the rebuilding of the Beis Hamikdash, and everyone will truly be at home. We're packing again. I think it's one of the jobs that I dislike the most, and Ihave done it way too many times already, to be exact, this is going to be our sixth move, and we have been married for eight years. I might have been excited the first time we packed, just a few weeks before our second child was born, and we were moving to a two bedroom apartment. We were even more excited when we packed to move to Baltimore, both because it was astep on the way to moving to Clarksburg, and also because we celebrated a wedding (of Yehuda's sister) the night before we moved. The move to Clarksburg was really a happy one. We were thrilled to finally be moving there, into a beautiful home, in which we made so many happy memories for our family, and for Chabad. But our move last year was not filed with joy. In fact it was so hard for me, that I was barely able to pack, and Yehuda did most of the packing. And now we're moving again. It's definitely not a move I wanted to make, but, again, it has to be done. This move has made my mood low all week. I've been alternately grumpy, and blinking back tears, and then trying to keep things together while my children are around, and pretending we're excited about this. But today I decided that instead of being down about it, I'm going to think of this as is just another step on our way to back to Clarksburg. In fact, most of these boxes won't be opened again until we're back there. And although nothing actually changed, we still haven't bought a house, I found that once I made the resolution to change my perspective, I was able to turn on the music, and sing while I packed my pots and pans. Today I received a gift, that I'd like to share with you. It came in the form of a song, that my three big girls came home from school on Friday singing, and it's been running through my head all weekend long, "Lama nig'orah....lamah nig'orah,"
Actually, when I looked up the meaning of those words, I realised it had actually been a chorus of mine for the last few months, and it did not seem like a gift at all at first. "Why should we be deprived? We worked so hard to get here, why are we not being allowed to live this life that we worked so hard to get to? This sentence was said by the Jews who were unable to bring the first Korban Pesach, the Pesach sacrifice. They had been carrying the bones of Yosef, who wanted to be buried in the Land of Israel, and thus were impure to bring the holy sacrifice. They complained to Moshe, saying that it was unfair that they were denied this opportunity. They were doing a mitzvah by transporting the bones, keeping a promise that their great grandparents had made to Yosef years ago; that they would take his bones with them to Eretz Yisrael. In those first days and weeks, when we found out that our baby would need to have surgery, would have more complicated needs than our other children, and we did not know how we would be able to care for her, I cried to G-d. I said "It's not fair! Why me? We have worked so hard, we're trying to do good, to help other Jews do mitzvos. Why are You depriving us of this opportunity?" But Hashem answered with a gift. He gave Pesach Sheini, a second opportunity, not just to those Jews, but to all of us, for the Torah and mitzvos are eternal, and we get to celebrate Pesach Sheini every year, and in fact every time we think we have made a mistake, G-d gives us another chance. Our gift was our Shterna, who had taught us a new way to appreciate people. In just a few short months since we have met her, we have learnt so much, we have come to realize that there is a much better way to do what we have been doing, and we are so glad that we get this second chance to what we have been trying to do all our lives. We are greatful for the special people in our lives who support and encourage us, and without whom none of this would ever have been possible. And on this day of second chances, I am reminding myself that it's not just about big things, but about all those small moments too. All those times when I have "Mommy guilt" over not being patient enough with my children, not spending enough time with them, serving hot dogs instead of cooking a nutritious supper, there are so many things I berate myself for all the time. Today on Pesach Sheini, I'm going to try and forgive myself just a little bit, because I know thattomorrow I have another chance. I may have rushed through bedtime tonight, but I get a brand new chance tomorrow, to sit with my children at the breakfast table and spend time with them before they go school. In fact, I just got that chance a little early, in the form of a sleepy girl in a nightgown, who just came to tell me that she "can't fall asleep..." So please excuse me, I'm going to give her a big hug and kiss and tuck her in tightly! Birthdays are always a time of reflection for me. Whether it's my own birthday, or one of my childrens', as the day approaches, I find myself thinking of the growth of the past year, and wondering what the year ahead will bring. Sometimes the changes are bigger, and more noticeable than others-last year this time I had just found about the new little life inside of me, today she is a whole personality that has completely changed our lives. This year especially, I have been thinking about my birthday for a long time. It's a big one, according to the Torah, life is 120 years, and so at 30 I have achieved a quarter of that. So I'm looking back at my life and taking stock. We call it a life-cycle, because it is a fluid circle, every year is round, and comes back to the beginning again. And so on a birthday, the same energy that was in the world on the day that you were born, is present in the world once again. That energy is called mazal, often translated as luck, and it's special for you. So as I sit here at midnight on my thirtieth birthday, waiting for the cookies and brownies that I baked to come out of the oven, and reflecting on my life, I'm wondering what that says about me. Quite possibly it just means that I'm as nutty as the brownies I baked, because being tired tomorrow can ruin my whole day. But I'm choosing to believe that the reason I decided to bake tonight says something more important (and more positive) about me. I'm even hoping that it shows a bit of my special energy, and essence. Baking and cooking is one of the biggest parts of my different roles as a mother, a wife, and a shlucha. I spend a lot of time every day in the kitchen, preparing and serving food to the people that I love and care about. It's something I haven't been able to do as much of in the past few months, and I'm grateful to the friends and family that stepped up and helped us when we needed it. But I have missed it and I'm also grateful that I am now easing slowly back into that place. I am hoping that my choosing to spend my birthday baking reflects on the fact that I love to nurture, and take care of others. And the fact that I stopped myself at only recipes, instead of the whole baking spree I really wanted to embark on tonight, shows that I have matured somewhat over the past few months. That I have learnt how to give, but also how to take care of myself, and my family. And so, as my brownies are beginning to smell like they are almost ready, I want to use my special birthday mazal to bless you all, to know the power of giving, and of nurturing those around you. And also, to have special people in your life that give to you when you need it. And more importantly, that Hashem should give you all the blessings! And if you're nearby, please come and have a brownie! It was about this time last year, that I found out I was pregnant with Shterna. It was a beautiful spring day, much like today's weather. I had three little children in the car with me, and I was on my way home from grocery shopping, which included a pregnancy test. As I was driving, with the window open for the first time in months, I noticed a sign that I had seen many times before "Scenic By-way.” A quick glance in the back seat showed me that the children were happily spaced out, enjoying the music, so I decided to take the detour. I meandered through the beautiful back roads of Boyds, feeling grateful that we had finally settled in the area we'd love to call home, and that it was such a beautiful place. There is nothing that makes me look forward to the future more than the thought of a new life, and I was full of optimism as I imagined what the next few years would be like. As the months went by, and the weather got hotter and stickier, we received news that was less positive. Ultrasounds showed that our little baby, had a blockage in her stomach, holes in her heart, and very possibly would have Down syndrome. We alternated between grief, numbness and anger, as we packed up our lives, prepared to move away from this place that had held so much promise for our growing family, not knowing if or when we'd be back. The months that followed were full of doctor's visits, ambulance rides, hospital stays, and a lot of stress and worry. We operated in crisis mode, and didn't have much time to think. This week the weather has been beautiful again. Walking home with my children, Shterna snuggled up in the Moby wrap and breathing peacefully against my chest, and the bigger children holding hands and skipping happily ahead, I noticed that I was feeling the sunshine inside my heart as well. My eyes welled up with tears of joy, as I realised that I am once again looking forward to the future. Little did I know, on that day last year when I took the scenic route, that it would turn into a metaphor for the rest of my life. Our sweet Shterna is taking us on the scenic route through life. Although there have been a few unexpected twists and turns on the way, the scenery is breathless, each smile, giggle and hug is noticed, and often photographed, and I hope to be able to always slow down and savor everything that Hashem brings our way. I first became aware of the power of words six years ago, when I was pregnant with Ita, and went to hypno-birthing classes. While we may have laughed at the "discomfort"(pain) of the "surges" (contractions,) there's no doubt that that birth, and my subsequent birthing experiences were completely different from the first. Since then I make an effort to be careful with the words i use, because I have realised that the words I choose effect the way I think about things. It's not a new concept for me, since I was in pre-school, and learned the story of Noah's Ark, my teachers always made sure to point out that the Torah tells Noah to bring two of each of the "animals that are not kosher" into the ark. And of course many of us remember the children's video where one girl tells another "Don't say bad, say not good." Recently I have noticed another type of careful wording that piqued my interest-that people talk about their child who has Down syndrome. Years ago people with Down syndrome were called mongoloids. More recently people talked about "Downs babies" or even downsies. But saying person with Down syndrome (also know as person first language) shows that you think about the person, and that who they are is more important than the fact that they have Down Syndrome. What really confused me was an article I read about autistic people-they actualy prefer to be called autistic people, as opposed to people with austism. The reason for this is because the autism is an intrinsic part of who they are, and they would not be the same without the autism.Today I noticed a campaign on social media called Spread the Word to end the Word. Its a campaign to stop the usage of the word retard, or retarded. It's also not a word I thought much about, but in some of the books I have been reading recently I saw that people with Down syndrome typically have some mental retardation. Well, retardation was never a medical term for me. colloquially, people use it to mean something that doesn't make sense, or that is weird. That's not something I would associate with my sweet Shterna, or many of the other people with Down syndrome who I have met, who all have some degrees of mental retardation. They are all smart, hard-working and have many other postive characteristics, regardless of the fact that their cognitive abilities may be different to ours. Before I started writing this, I did not realise how emotional I actually felt about this issue. I guess what I wanted to say with all of this is that whether someone is a person with Down syndrome, an autistic person, a pretty person or a person with a handicap, the important thing is to talk to them, and about them with respect, and preferably using the type of language that they prefer! Recently Batsheva wrote about disability awareness and inclusion. I would like to share my thoughts about this as well. Perhaps this way I can do my small part towards raising awareness about this important topic in the Jewish community. When the doctors first told us (before Shterna was born) that there was a very strong possibility that she had down syndrome I was disappointed and upset. Disappointed that she would not make us proud in the same sense as our other children, and (I even went as far as thinking) "How much would she be able to accomplish in her life?" And upset that we would now become "one of those families" with a "special needs child". However over the past few months since Shterna was born I have been able to get to know her and come to appreciate her as our daughter who smiles with her whole body and has a quite charming personality. Growing up I have learned in Chassidic teachings that G-D puts each one of us in this world with a special task and mission to fulfill. He gives each one of us unique talents and capabilities that we will need to fulfill this mission and it is our job and duty to fulfill it. There was a Great Chassidic Rabbi Reb Zushe of Anipoli who would always say he's worried that after 120 when he goes up to heaven they won't ask him why he wasn't like our forefather Avraham Or like Moshe Rabbeinu Or anyone else Because he wasn't give the potential to be like them. They will ask him why weren't you Zushe? You had a mission and you had the necessary tools to fulfill it why didn't you?! This was his great fear; that he wouldn't live up to his own capabilities. I now realize that G-D has chosen our Shterna tofulfill a very unique mission which she could only complete with her special talents and capabilities. And so now instead of being upset and disappointed about Shterna I can say that I feel honored that G-D entrusted me and Batsheva with such a special soul and I only hope that will be able to help her fulfill her unique mission in life.